I create 2 forms but none of my clients are able to find it on mobile device. here the link of my form. https://www.jackbuhservices.com/request-form/. 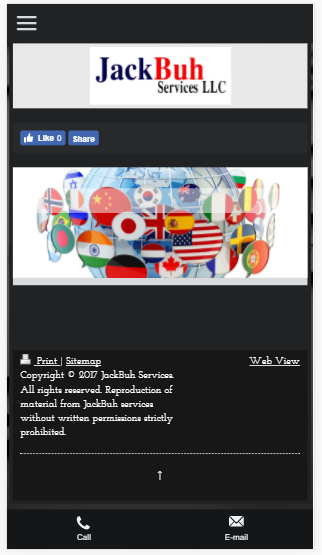 https://www.jackbuhservices.com/apply-now/ everything seem to be working on computer but not mobile. I checked the URLs you provided and I was able to see the issue. The form is not displayed on mobile. 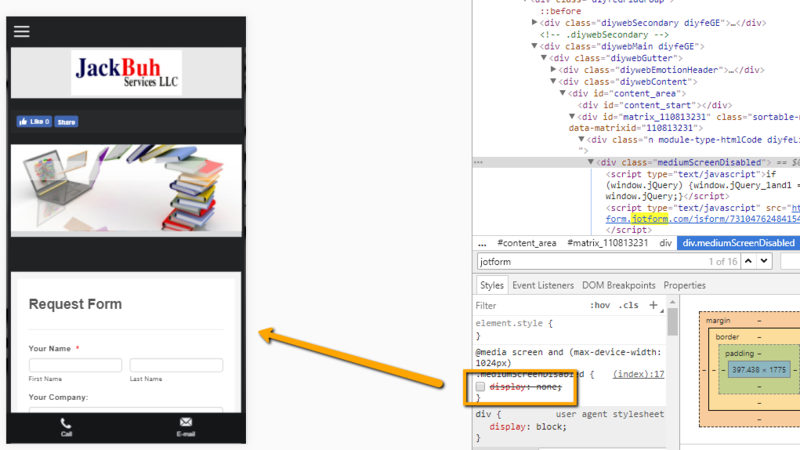 As per investigation, it seems the container that holds the JotForm embed code is being hidden on mobile. 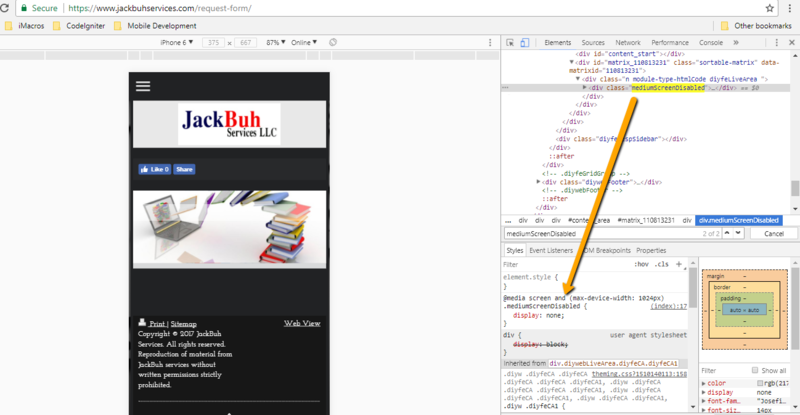 If I disable the CSS property display:none on the site. The form will be displayed. Please check this on your site. If you can add custom CSS code to your site, you can try to add this custom CSS code to your website. Thank you for the advise, i try to add the CSS code to my website but still cannot resolve the issue. 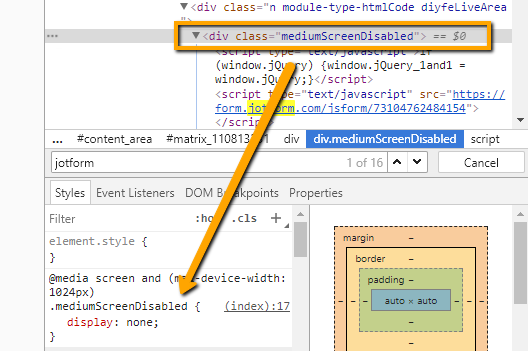 As per checking the "display: none" code is still there for the class mediumScreenDisabled. How did you add the CSS mentioned above or how do you manage CSS in your site? I do not add CSS code for my website. this website is created by web hosting i just add the contents. Please let me know if this is something i can resolve by myself or i need to contact my web hosting? Yes you will need access to your websites source code. If you have an admin or someone working for you then you will need them to modify your website.